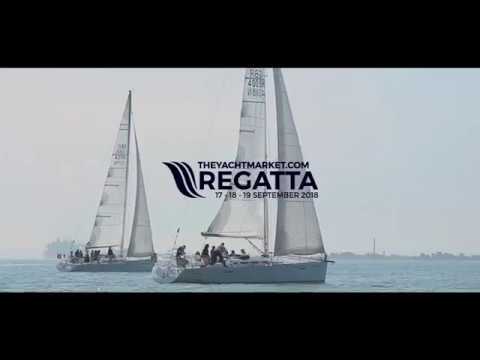 Southampton celebrated its first all-female sailing competition on Tuesday as TheYachtMarket.com Regatta got into full swing. The three-day sailing event has been taking place alongside TheYachtMarket.com Southampton Boat Show and yesterday saw The Women's Cup take place despite challenging weather conditions. As high winds whipped up the Solent, around 60 women kitted up and hit the water for a day of competitive sailing on board a fleet of Sunsail Match F40s. They included corporate teams from ABP Port of Southampton, Rees Leisure and accountancy firm Wilkins Kennedy. The day saw a hotly-fought day of racing but in the end, it was the team from Rees Leisure who sailed their way into first place and were presented with prizes from Tessa Reid, director of sales at TheYachtMarket.com. The victory marked a double win for Rees Leisure, which fielded a team in yesterday's City Cup and also came first. Richard W. Roberts, founder and CEO of TheYachtMarket.com, said: "The sailing world is lucky to have some hugely inspiring female role models. Dee Caffari MBE and Dame Ellen MacArthur are just a few of the names that spring to mind and of course Shelley Jory Leigh on the powerboat side. We would love to see more women taking up the sport of sailing and that's exactly what today's been about. "We were pleased to see many newcomers to the sport and from their feedback we're happy to hear they'd like to give it a go again."